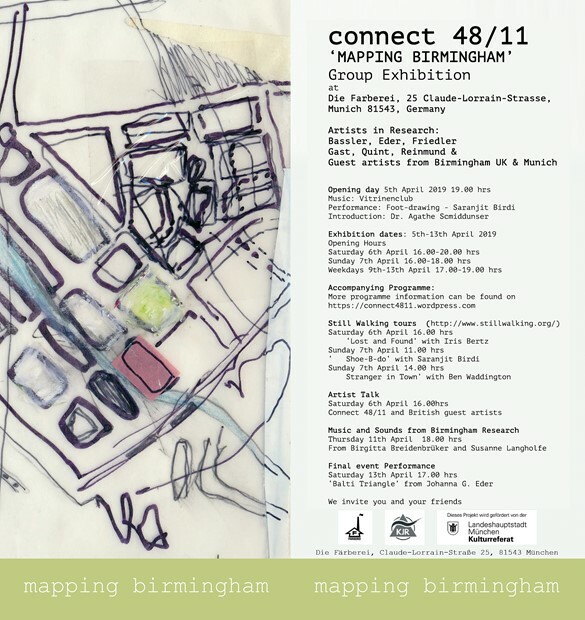 I have been invited, along with two colleagues from Birmingham (Iris Bertz and Ben Waddington of 'Still Walking') to participate in 'Mapping Birmingham' a group exhibition by Munich-based group connect 48/11. This will be my first invitation to exhibit internationally. 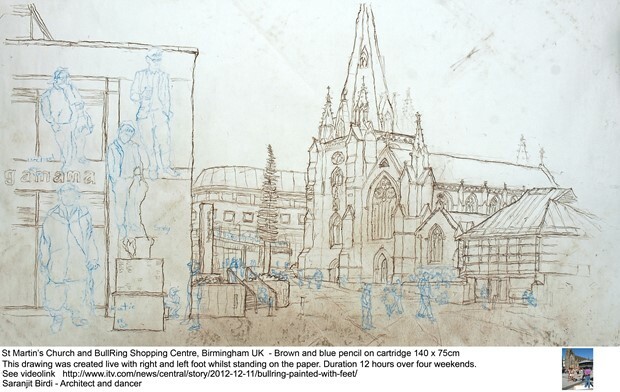 The Munich group visited Birmingham last year and the exhibition 'Mapping Birmingham' is a result of their research. I was part of a Birmingham 'Still Walking' walking tour with the group on their visit last year.